Riverside Studios is an inspiring art gallery owned and operated by five artists with elemental dimension — Alanna Hughes clay/potter, Kahlil Johnson leather, Mary Buchan Guerra silver and stones, Sondrea Larson silver, gold and stones, and Pat Blide – man of iron. 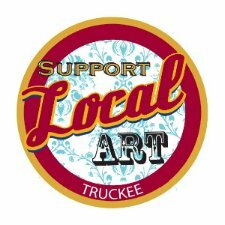 Riverside Studios art gallery includes a strong collection of artwork from local artists from around Lake Tahoe and Truckee, all hand crafted. You’ll also meet the latest Riverside Studio artist, Patrick Blide. Blide will be adding a spin to this previous all-female caste. A rancher’s rusted pile of twisted metal, old machinery parts and forgotten tools are a treasure trove in the eyes of this artist. 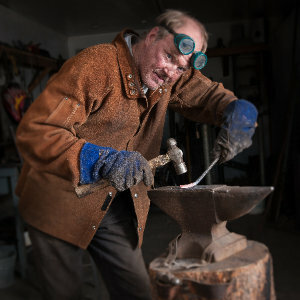 With transcontinental railroad spikes salvaged from abandoned lines as his primary medium Patrick is able to transform the static into the dynamic with whimsical characters coming to life via hammer, anvil and flame. Along with Pat Blide, Riverside Studios includes pottery by Alanna Hughes, handbags, belts and leather accessories by Kahlil Johnson, jewelry by Sondrea Larsen, and paintings and jewelry by Aimee Had and Kathryn McGaughey. 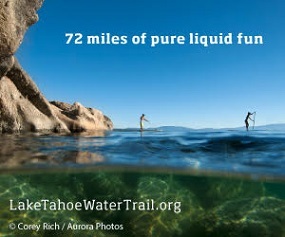 Riverside Studios is located in downtown Truckee at 10076 Donner Pass Road. Aspects of Alanna’s pottery are left unglazed leaving a window to view the natural clay body. Her work is modern with a twist into nature. By using bold and vibrant colors along with elegant shapes, her clay pieces are intriguing. 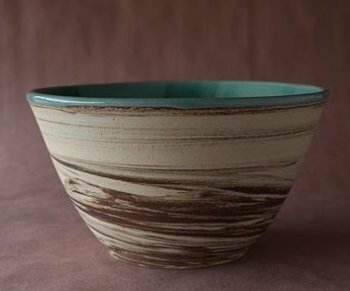 Her pottery is food, oven, dishwasher safe and made to be used functionally. I have always been drawn to dirt, but touching fresh clay was the tipping point. Encouraged. The biggest leap was when my sister lent me $1,000 to purchase my potters wheel in 2000. I enjoy the expression and functionality of ceramics. While doing pottery I can’t be tense. I have to breathe and relax in order to shape forms while on the wheel. 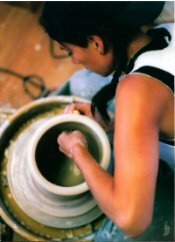 Pottery is a meditative craft for those that are too energized and unfocused to actually meditate!